How do I look up rent pay transactions in my account? 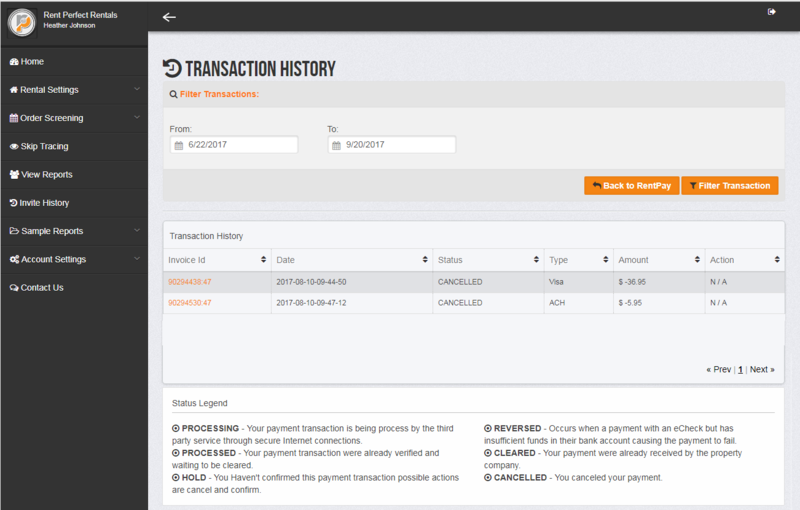 To look up Rent Pay transaction history for a property address click, "My Rent Pay" on the home screen of your account. Next, click "manage" to the right up the property you would like to manage. click here to learn how to set up a Rent Pay account with our partner Yapstone. Rent payment transactions can be looked up under "My Rent Pay" in your Rent Perfect account.